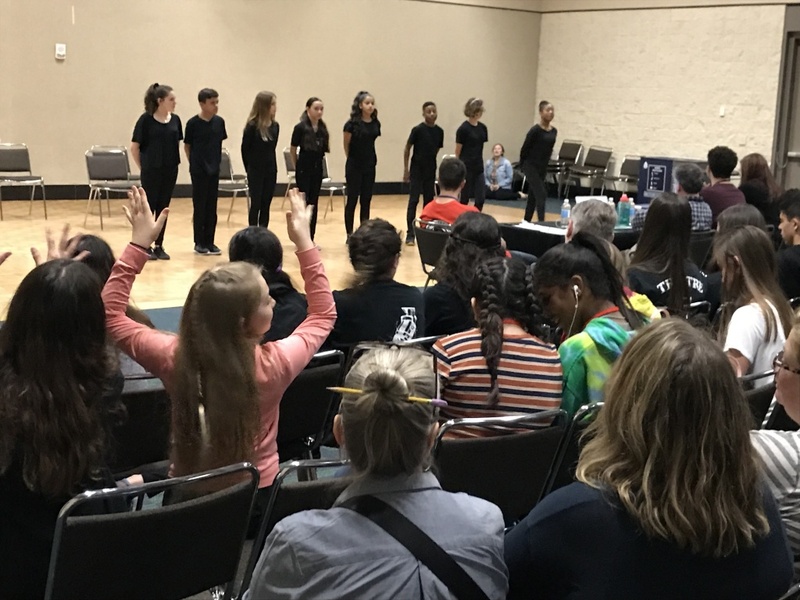 The first Junior State Thespian competition is now in the books and again, Boca Raton Middle School not only made history by this being the first State competition for Troupe #88493, but it medaled with superiors and excellents with surprises all around! 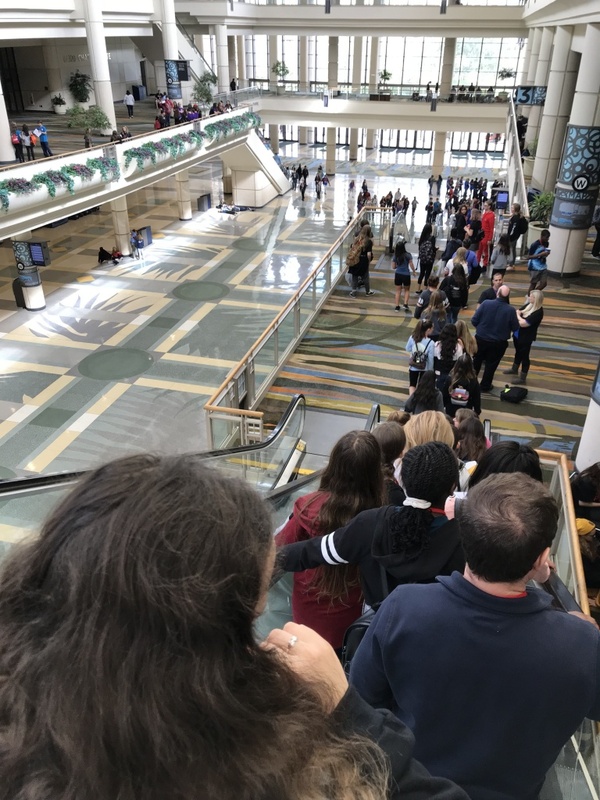 This year’s state competition took place a the large Orange County Convention Center in Orlando Flórida with over 4000 students from around the state. There troupes from every district including those from district 3, the home district of the BRCMS Troupe #88493. 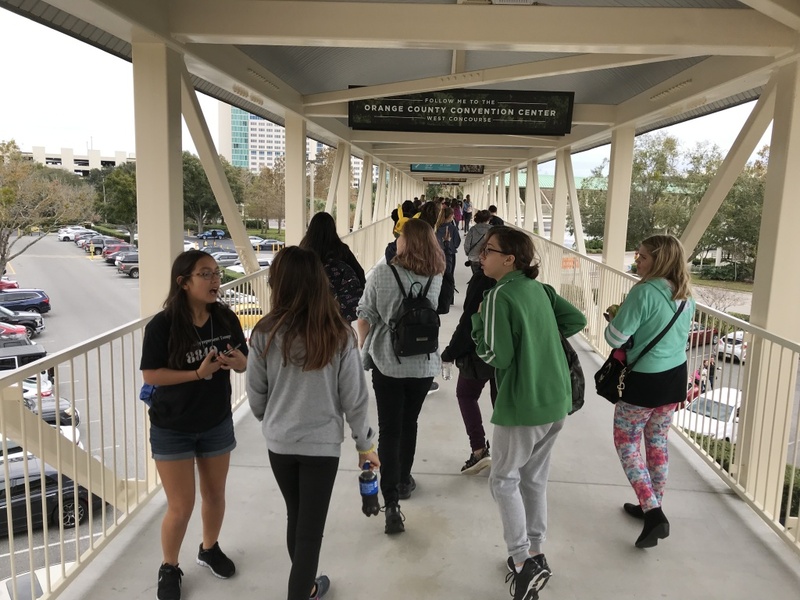 Our troupe stayed at the Rosen Plaza hotel which had a walkway to the convention center. The event took up three floors of the West side and was very well organized. 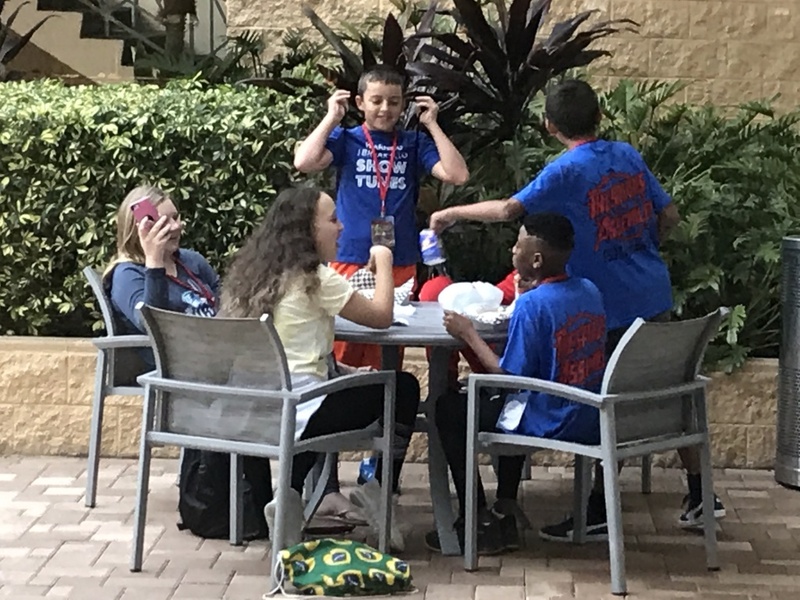 There were eating places at the hotel and at the convention center so everyone had a chance to stay hydrated and well fed. 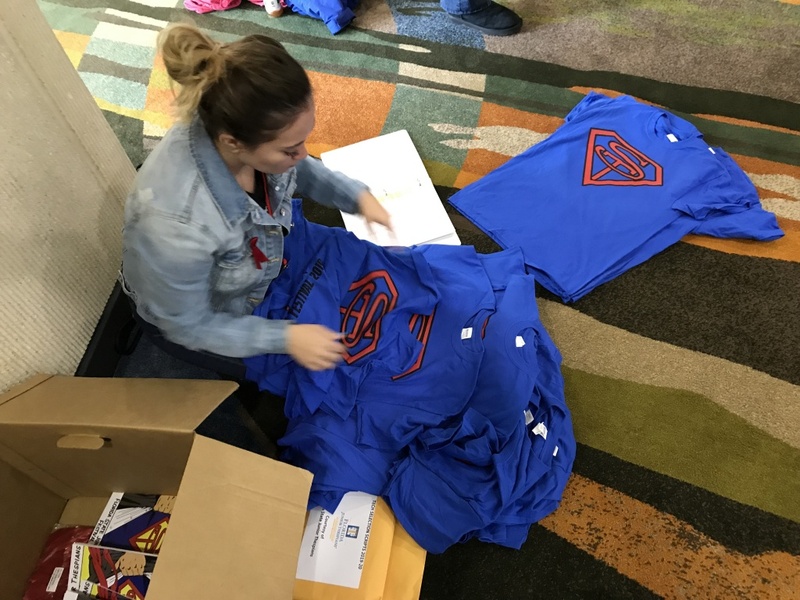 There was even a thespian marketplace where students could buy Thespian merchandise. 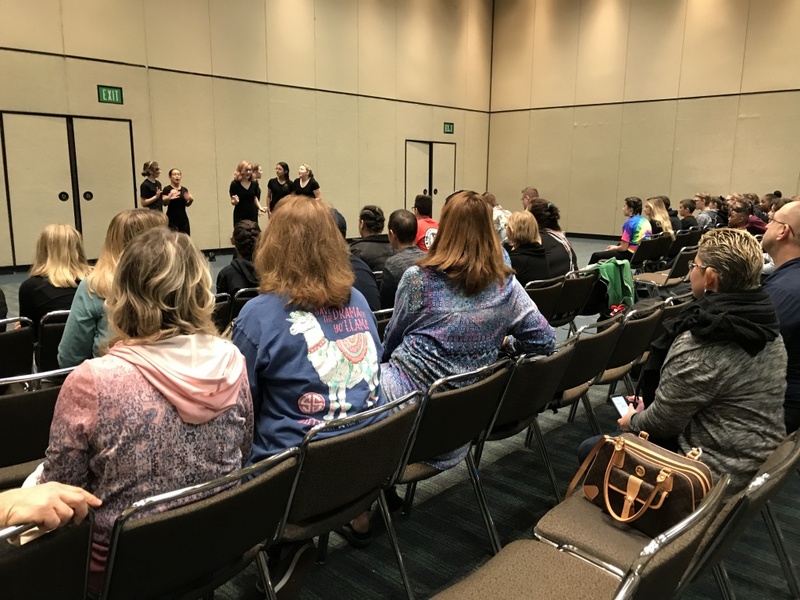 One of the most fun aspects of states is the workshops during the three day event. 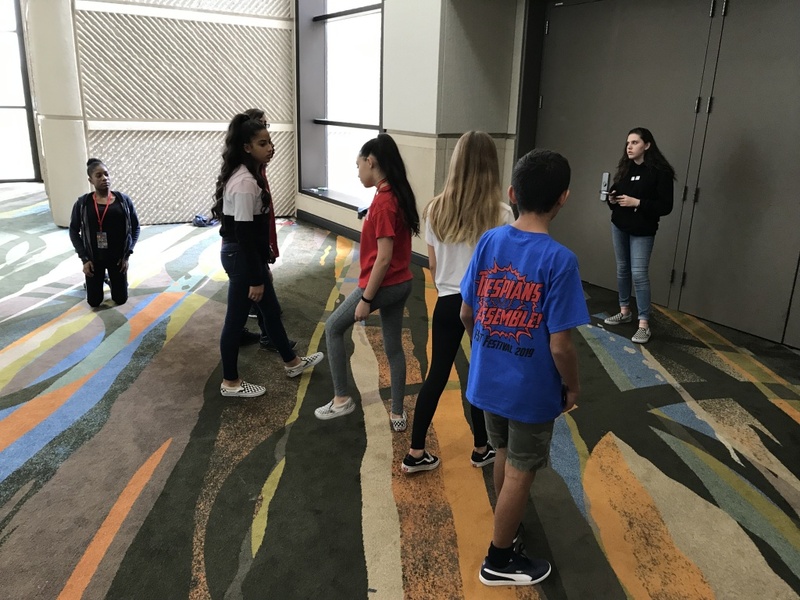 Troupe members participated in various dance workshops and a workshop with pantomime. Students were dancing, laughing, and learning all at the same time. 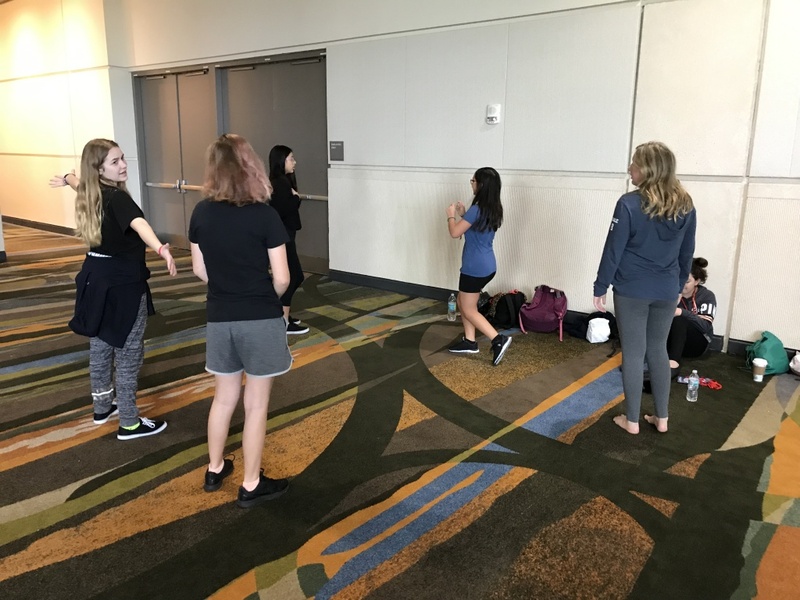 The dance workshops included Hip Hop, Modern Dance, and classes with the choreographer for Hairspray flown in from Broadway and included choreography from Hamilton the musical. 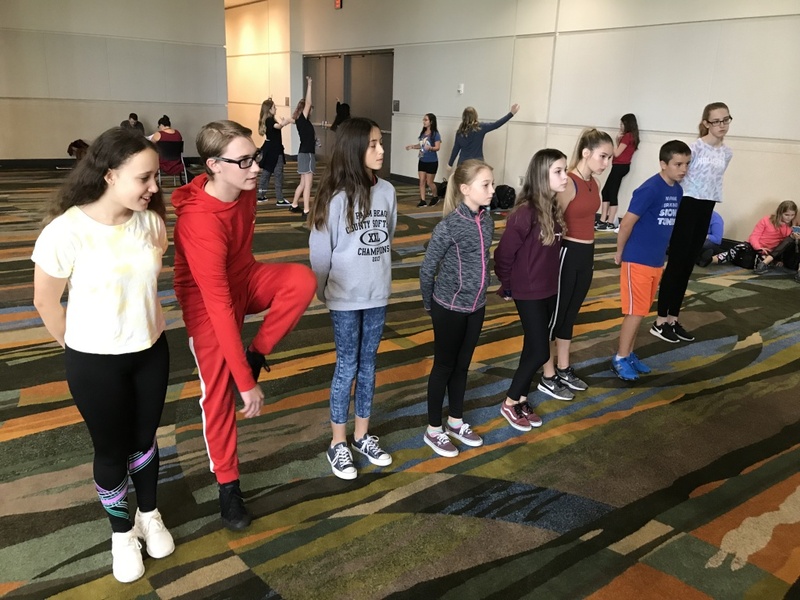 Students learned the same choreography that was done with Hairspray on the Broadway musical and the students lapped it up and wanted more. 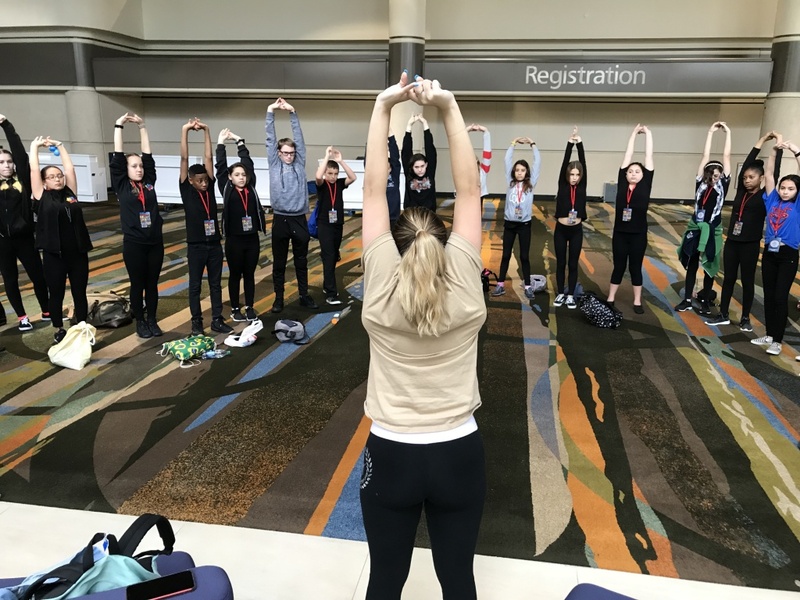 The modern dance and Hip Hop workshops had a choreography that really challenged the students to a long sequence of dance steps that were recorded for students to take back to their troupes and learn. Those recordings are now available for students back here in Boca to continue to learn and perfect. 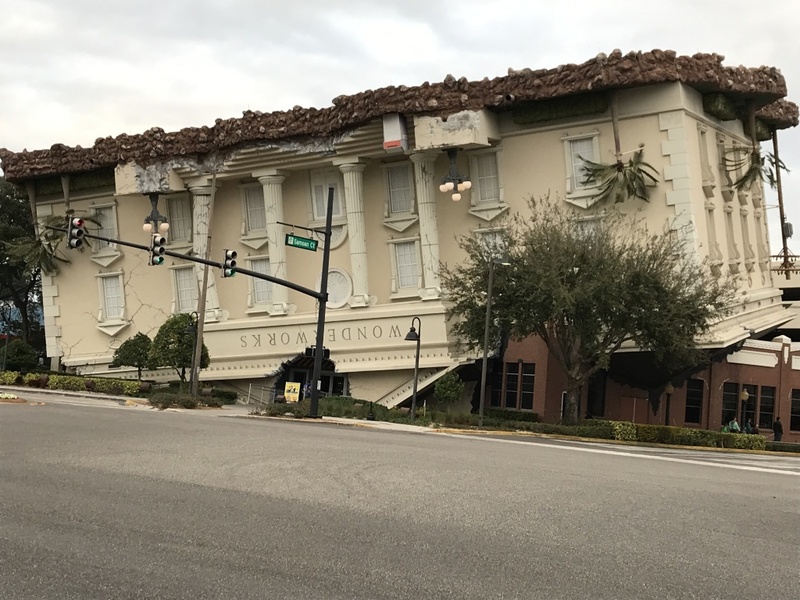 The event also included two formal evenings with the opening ceremonies and the musical the Adams Family from one of the premier drama troupes in Florida. 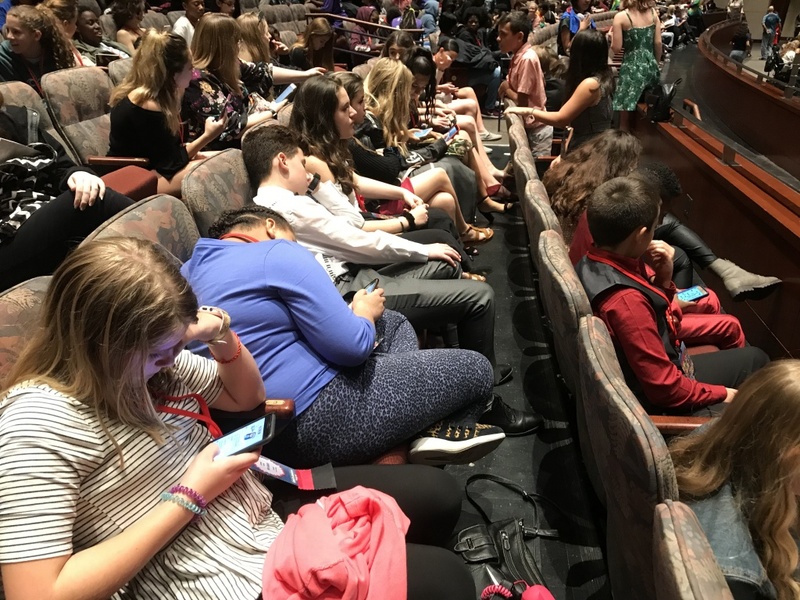 The opening ceremonies took place in a theater that holds 4000 people and it was packed to capacity. Organizers were greatly surpised at the increase from last year’s event only having a little more than half that. 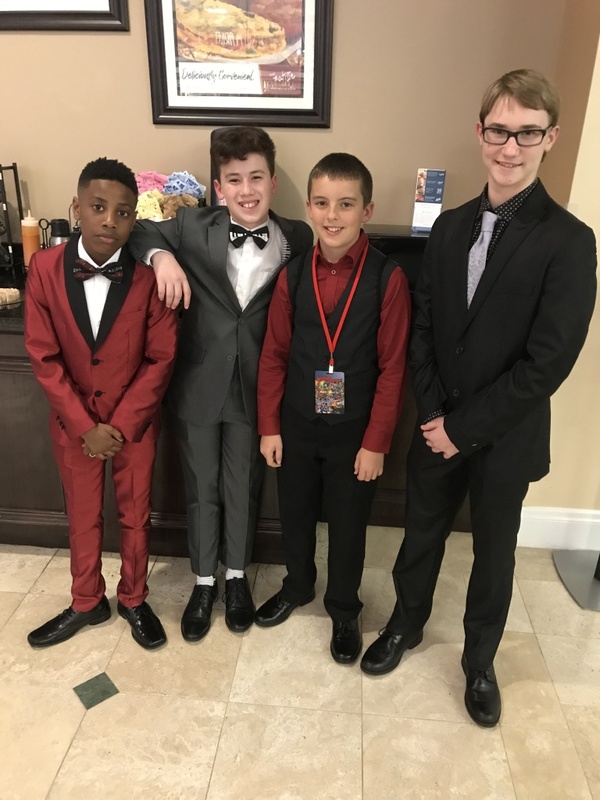 BRCMS troupe members dressed up in semi-formal wear for this event. Friday night was the formal dress night to the theater with troupe members dressing up to the “nines” as they say. After dinner in the hotel, troupe members showed up 30 minutes before the theater event and it was again, packed to capacity. 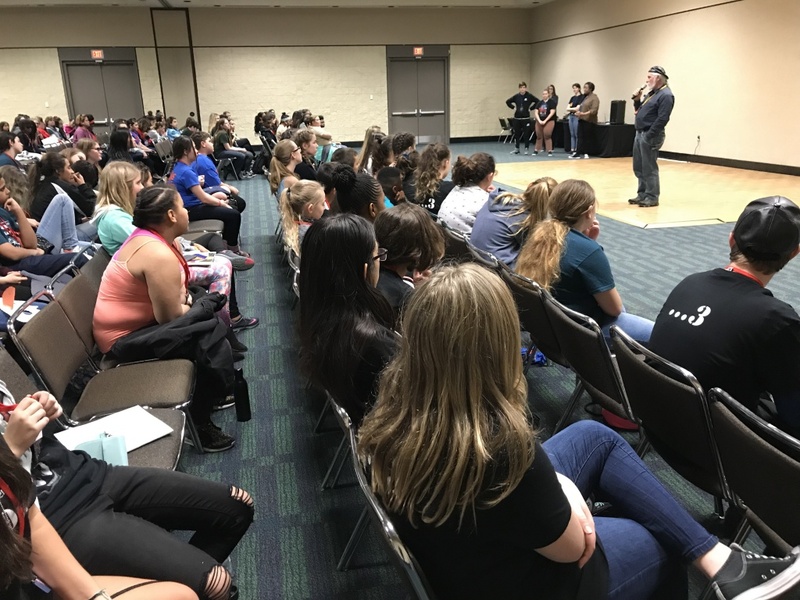 Before the show, two improv rappers played with the audience as well as with numerous members from troupe 88493 interacting with the rappers. Everyone had a great time and that was only BEFORE the main attraction. Troupe members and the audience were treated to an amazing and entertaining musical entitled “The Adams Family”. The Middle School cast was top notch and seemed as good as many high school productions. It was a hilarious musical and had everyone talking both about the talent and the play itself. 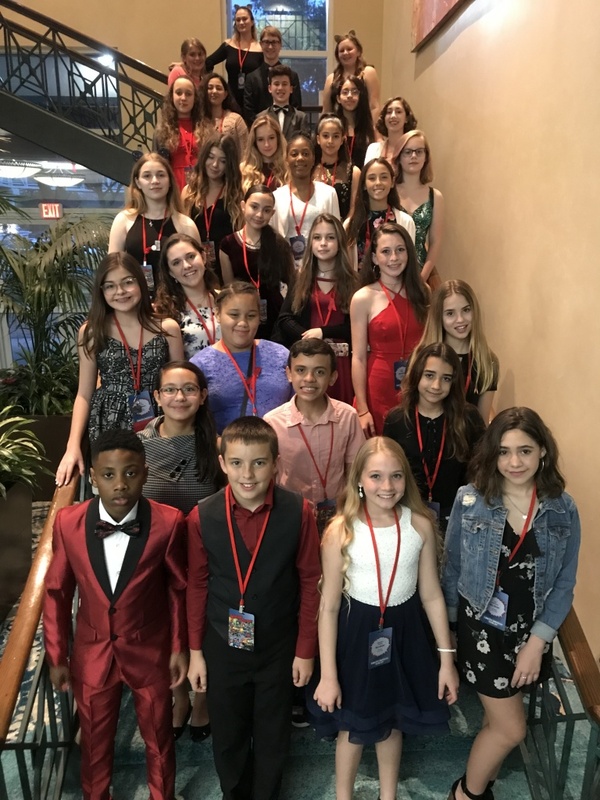 Formal evening attire for Troupe #88693 who dressed up for a night at the theater which included improv rapping and the musical “The Adams Family”. Competition is a different beast from doing live theater. Competition is good in that it gives students and idea of where they stand with their talents. Judges give great feedback to each performance which can be invaluable to students. In Live theater, you can recover from almost anything without consequence. In competition, you cannot always do that. Competition is unpredictable and each judge brings their own experiences to every competition. Judges are different room to room and with so many students in the competition, being consistent in judging will not always happen. Some judges are more forgiving, some are very strict. Besides the judges, there are the students themselves. Students who are new and not expecting to do well can have an “amazing” performance and score high and veteran performers can have an “off” performance and end up not getting a rating they may deserve simply because there is only a one-time shot with the judges. 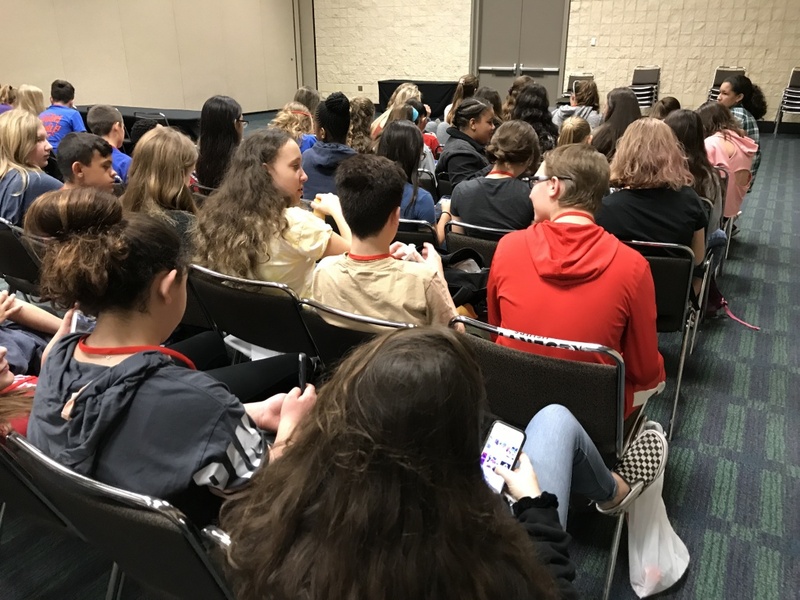 Overall, it is a good experience and students should all remember that the ratings are not nearly as important as the experience gained, and the expert feedback from the judges. The judges in general really do care for the kids and they are very encouraging. 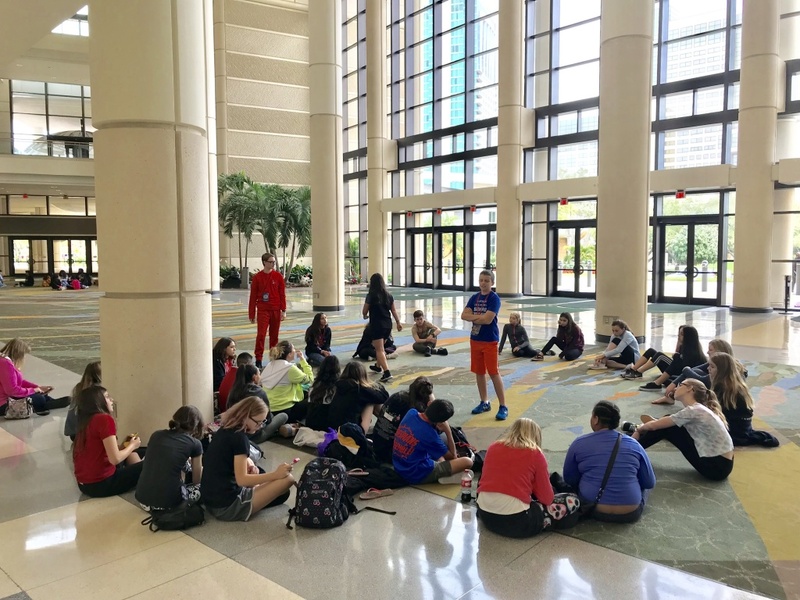 Troupe 88493 brought 8 of the top competition pieces to the state event and they received medals in 7 of the 8 modalities with the one piece just barely missing a medal. Overall: AMAZING! The Large Group Musical doing “Freak Flag” got medaled at their first state competition event. 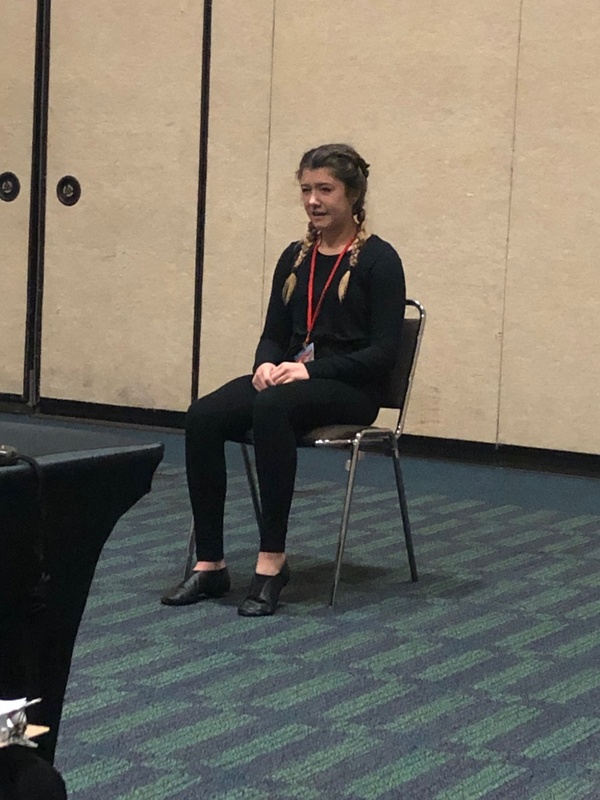 The monologue by Phoebe Pelton who received an superior rating and the only critics choice for the group at districts, received an excellent rating from the State judges. 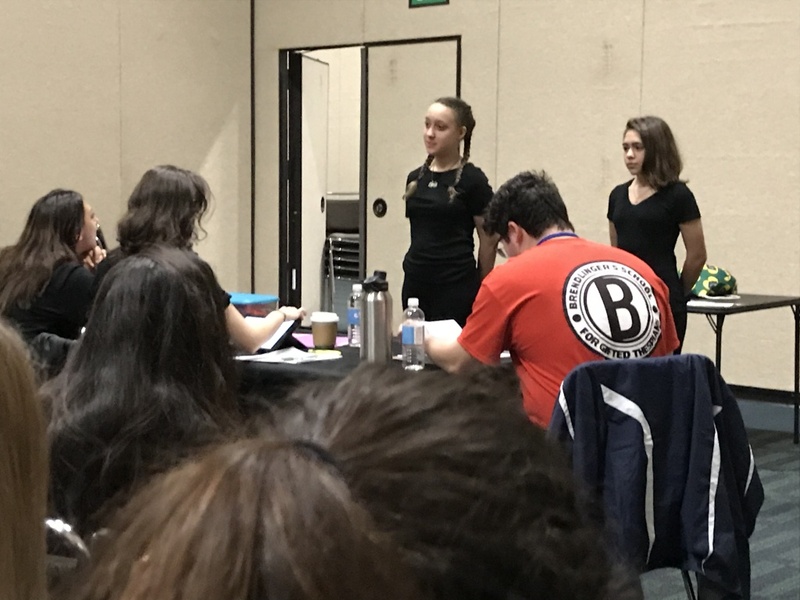 Phoebe is an excellent actress and was very convincing to the judges both at districts and at states where the bar is much higher. Congrats to her for medaling once again and this time at states! Phoebe during her monologue “12 Years Wise” which earned her a medal at states. 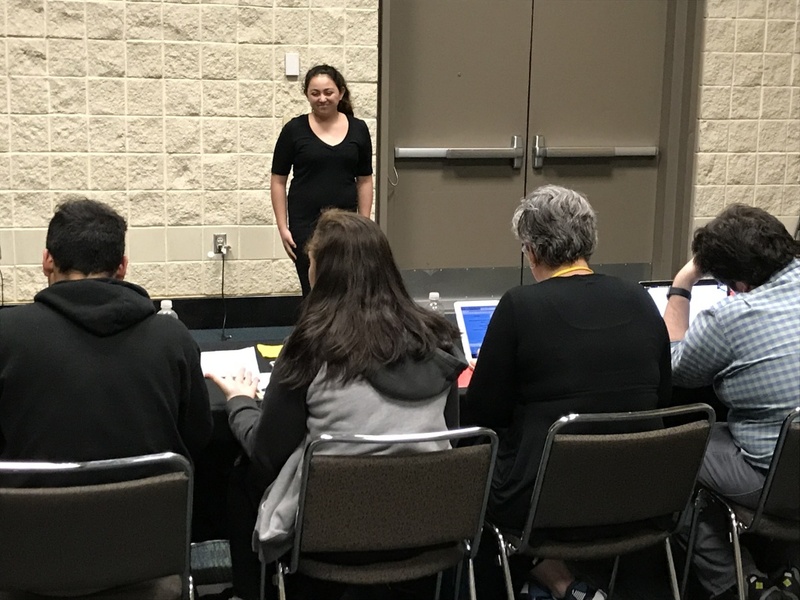 Julie Gonzalez who got a superior at districts singing the song “Ireland” and once again impressed the judges – this time at the state level. Her rendition went smooth and despite one misstep she “claimed” to make, she still received a superior rating for her solo. 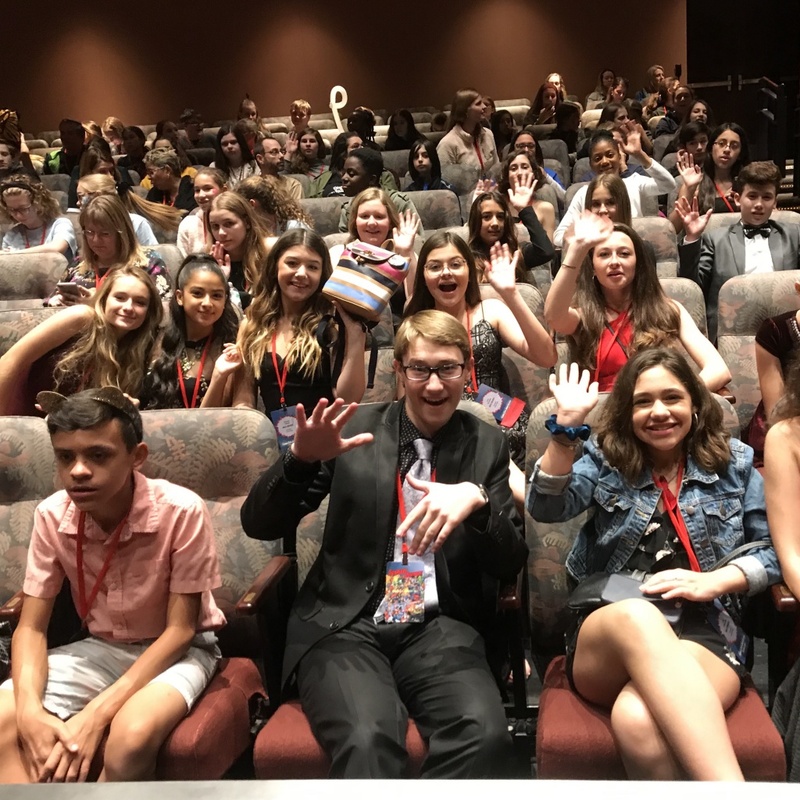 That was a superior rating for her at both district and states in the most prestigious of all the modalities at thespian competition. Wow! 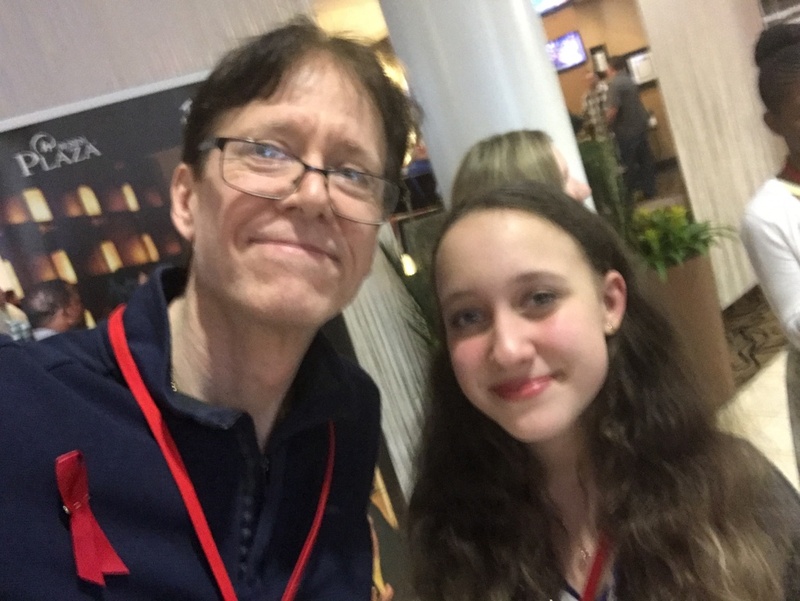 Congrats Julia! And to think she will be back next year! The other large group musical who received an excellent rating at district, had a great day. Like with all competitions, people can have a great day or not so great. 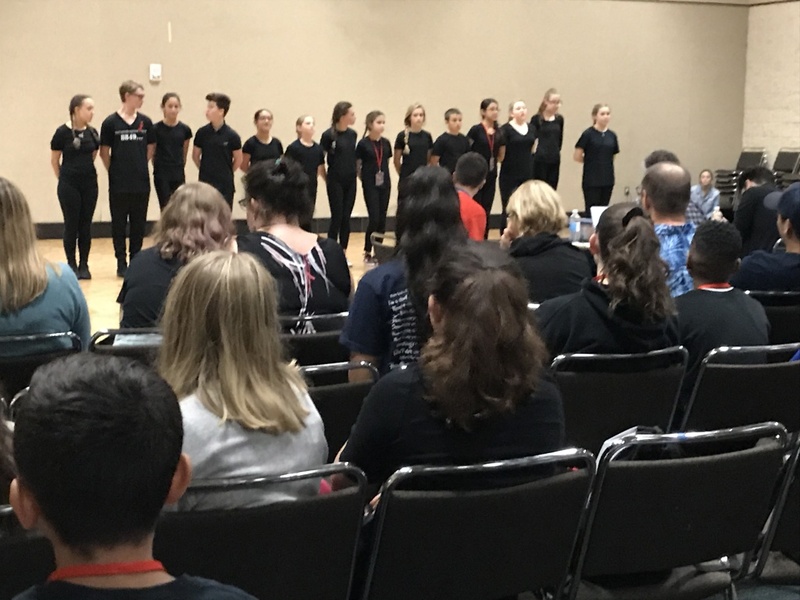 Having practiced a lot between districts and states, this group did amazing and despite a mix-up in choreography, their performance was amazing and it garnered them a superior! Congrats to the group from going to an excellent at districts to a superior at states! The large group musical who performed “Pandemonium” received a superior rating at states! Congrats! 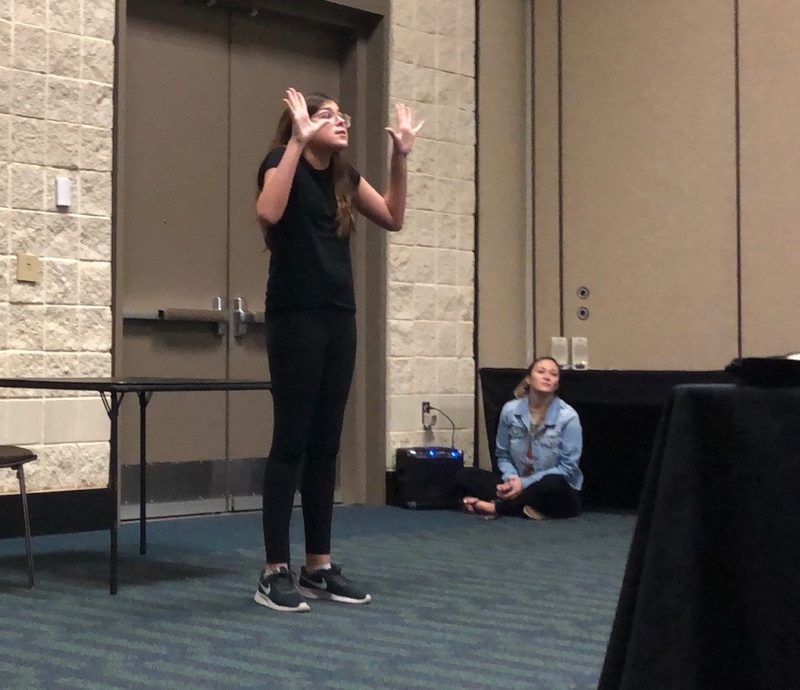 Another big surprise at the states was the acting duet of Cali Lieberman and Luanda de Hilster. 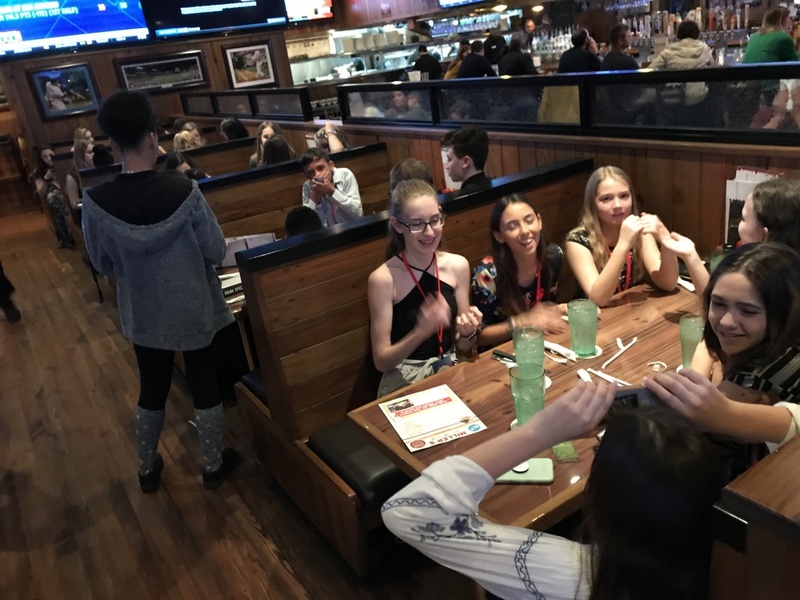 Having received an excellent at district, they worked hard under the direction of Ms. Nolan, blocking out each part of the scene until it was down to near perfection. And the result was amazing: they received a superior rating. Congrats to Cali, Luanda, and Ms. Nolan for this success! This was their day! 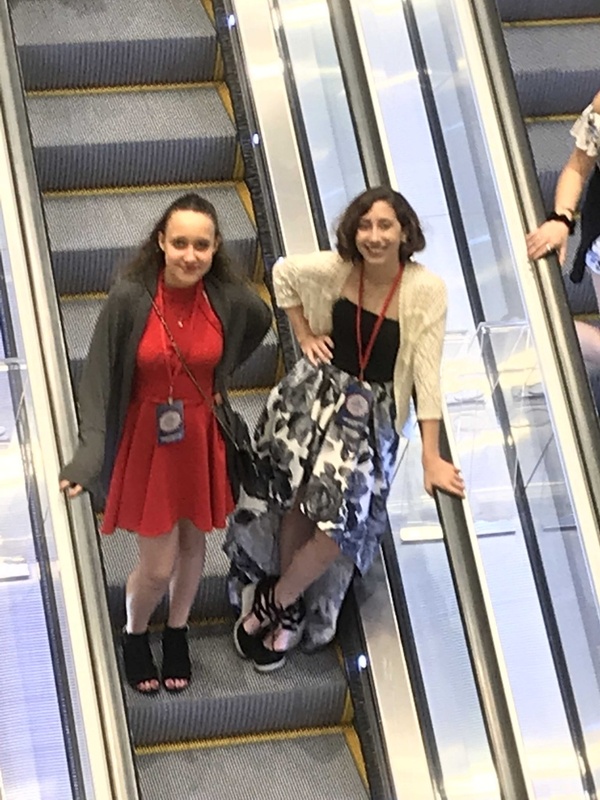 Luanda and Cali just before their performance of “The Audition” which garnered them a superior rating at States. Layla Dahan sang in the musical solo category “Part of Your World” from the Little Mermaid. Her performance was clean and her expressions and movement well thought out. She impressed the judges and just barely missed a medal with a very high good rating. Takes guts to compete in the solo musical category! Congrats to Layla! Layla Dehan just before her performance for the judges with her rendition of “Part of Your World”. There are always amazing stories at any competition and troupe #88493 had two in particular standout. There are times during any performance where something goes wrong, sometimes it is the performers fault, other times there are technical difficulties. We had both at the very first competition for troupe #88943 at junior states. There are times during competition where something doesn’t go right and it doesn’t have anything to do with you. That is what happened to the performers of “Omigod” when 20 seconds into the performance, the music stopped. At districts, this group got an excellent rating. Between districts and states, the group worked over and over on the piece until they could do it in their sleep. This was to come into play when the music stopped during their performance. Without literally missing a beat, they went on doing the entire number even with its long pauses, and dialogue. They came in together after very long pauses in perfect harmony including a difficult modulation – and all WITHOUT music. 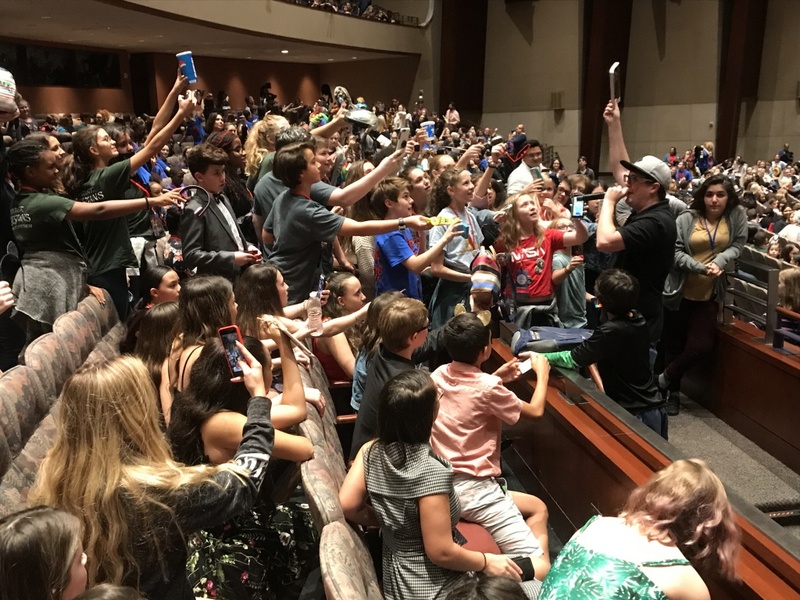 After they concluded without ever missing a step, beat or word in the music or dialogue, the judges broke the rule and said that the audience could actually applaud and they received a ROUSING round of applause from everyone in the audience. And their rating? They ended up with a superior. WOW! Super congrats! The small group musical group who performed “Omigod”, most of which without music which stopped in the beginning earned the group a superior rating. 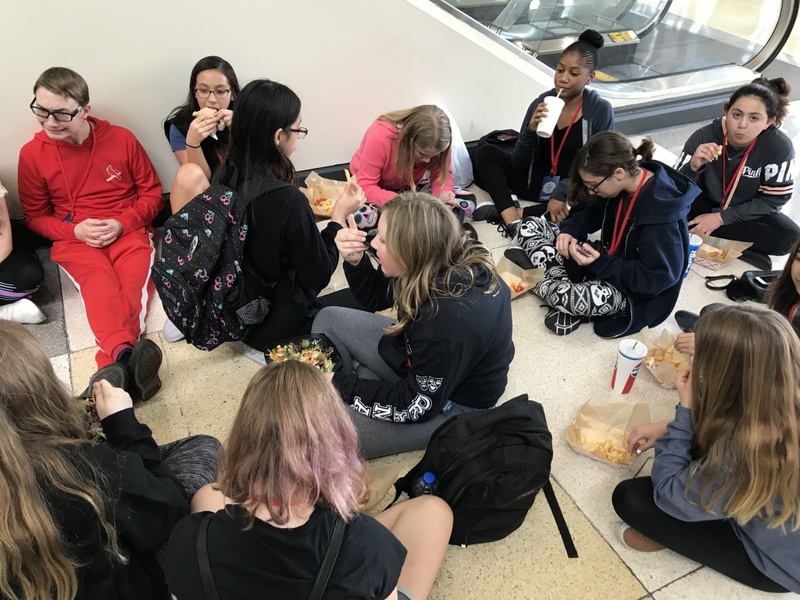 Luanda de Hilster was the only one at district and states to compete in three modalities including large group musical, duet acting, and solo musical, medaling in all three at districts. It would not be different at states. But there was drama in persuit of her sixth and final medal of the year as a junior Thespian. Everyone knew with a powerhouse voice and the number “Watch What Happens”, Luanda was a strong candidate for receiving a superior rating at states for solo musical. After all, she had the highest score of the troupe for solo musical at district competition. She had a great chance for superior. But as fate would have it this day, Luanda somehow started a half a measure behind – something she had never done before – EVER. The music does repeat with no change for many measures in the beginning. She quickly recovered and took what could have been a non-medaling performance and lifted it all the way back to a medal. Like a star runner falling down in the beginning of the race, Luanda got back up an ran up through the field, passing the “good” rating right into an excellent rating earning her third medal for states – three for three. Most of the time when a singer messes up the song or forgets parts of the song, they will not medal – especially with solo musical. But, instead of giving up, she fought through it and channeled her energy into the rest of the song like a true champion. Even though she was disappointed with he false start in solo, we still need to give hats off to Luanda: six competitions and six medals at districts and states with 3 superiors and three excellents. 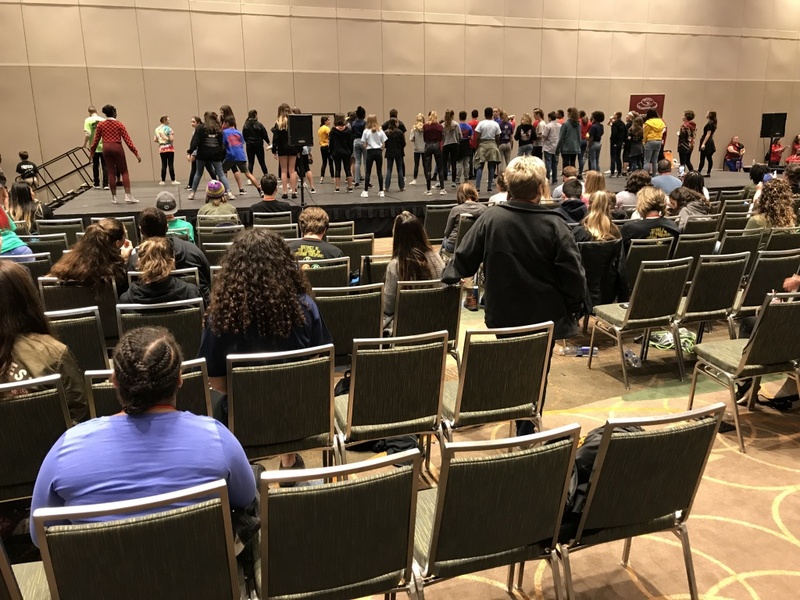 This is truly an accomplishment that sets the bar high for future thespians in troupe #88493 in future competitions. Luanda de Hilster before her performance of “Watch What Happens” at states. 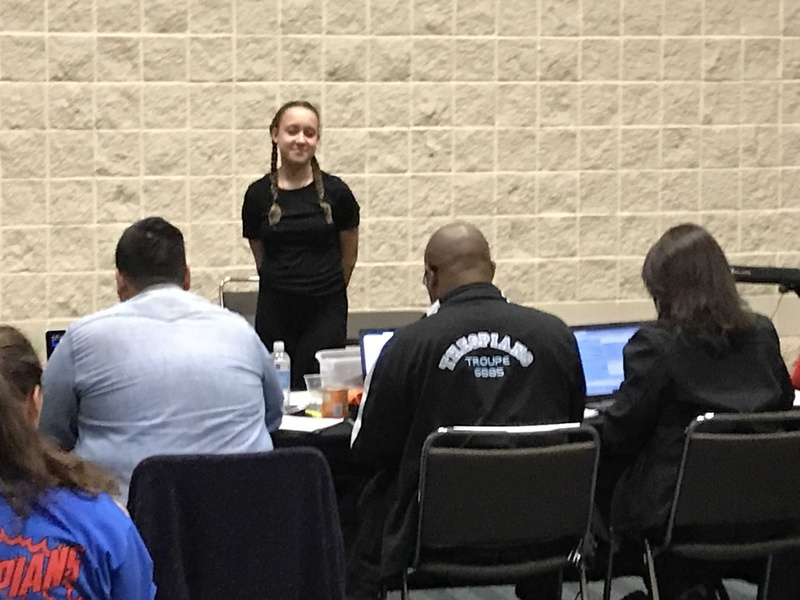 Despite missing the entrance to the music, she finished strong, medaling in all three competitions she entered at states. 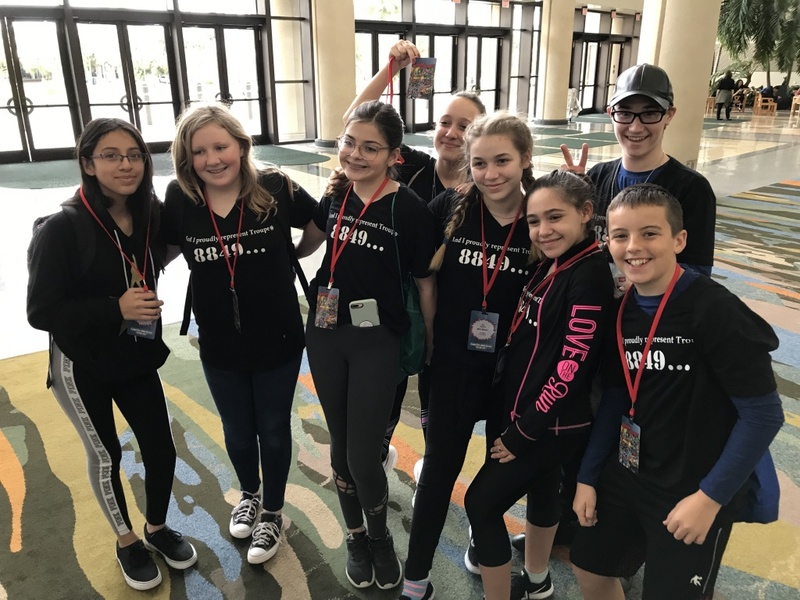 Ms. Nolan in her first year fulfilled a promise she made to herself before taking this job: to start a junior thespian group at Boca Raton Community Middle School. And BOY did she EVER deliver! 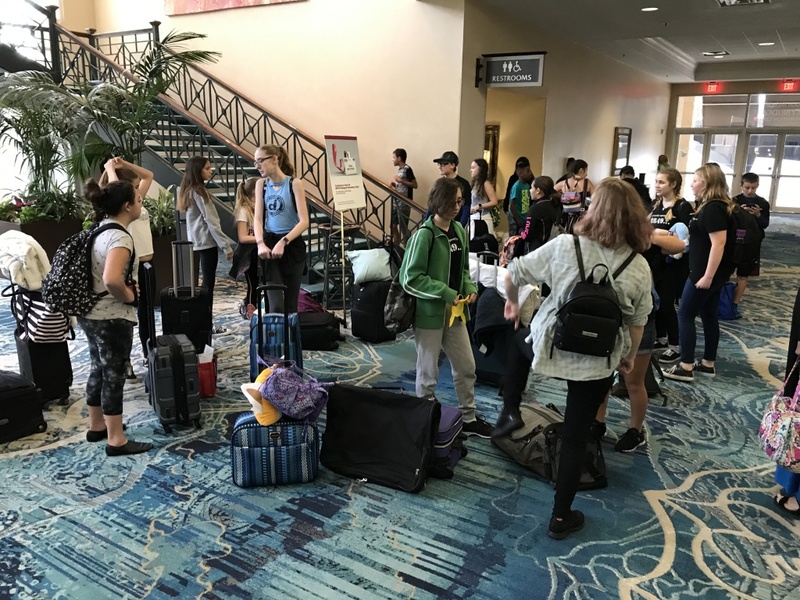 Her first-year troupe not only participated successfully at districts in one of the toughest districts in the state of Florida, but troupe #88493 brought back medals in a large number of modalities including in the areas of ensembles, solos, and acting. All in all, there were at least 8 superiors and 8 excellents overall in the inaugural year of this new troupe. (this author does not have the exact count at this moment but that is my best estimate). 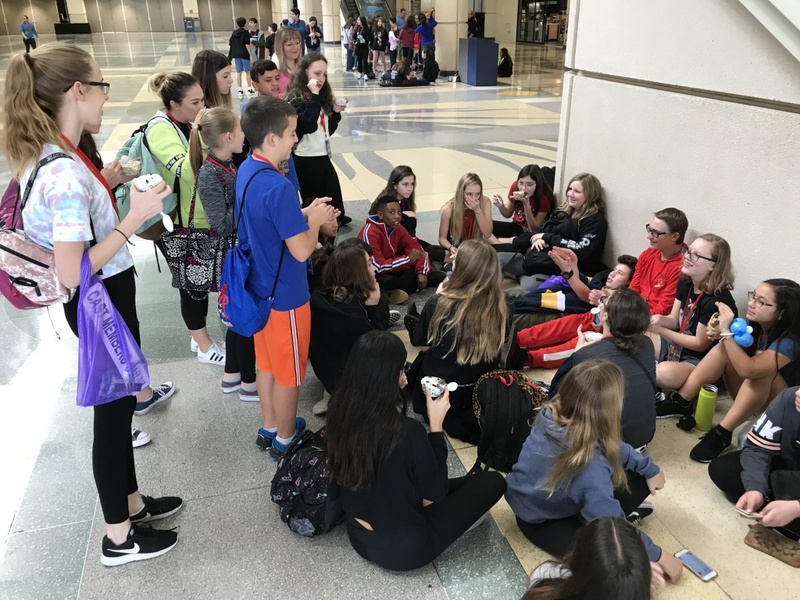 But more important, Ms. Nolan kept a promise to her students: she promised that the trips would be incredible and they were – especially at the state level. 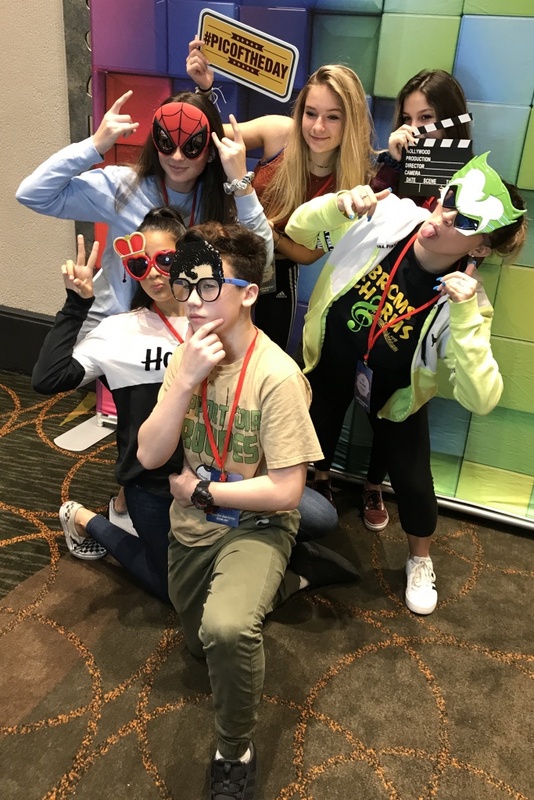 I have accompanied this group during all of its trips and performances for the last three years and it is safe to say that the inaugural trip to junior states thespian championship was an absolute blast for the students! 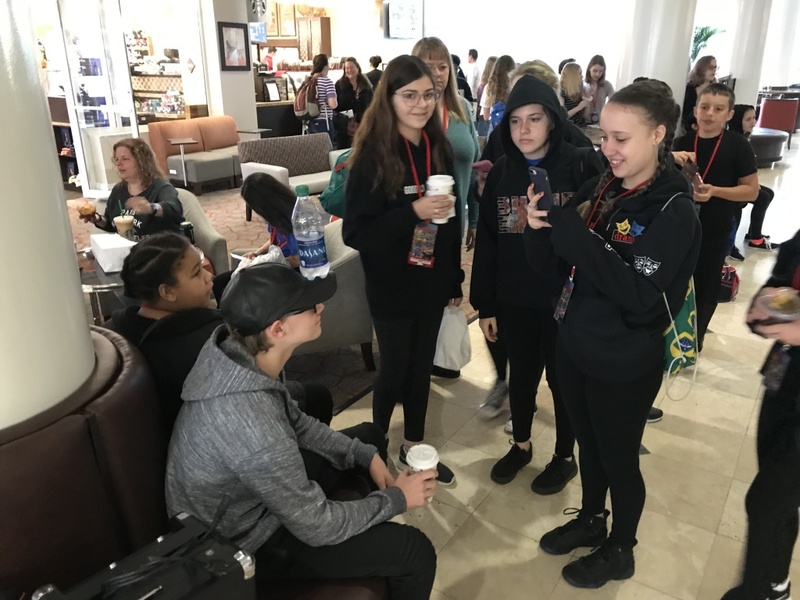 They laughed and danced, and sang, and even cried some together but it was a trip of a lifetime they will never forget. 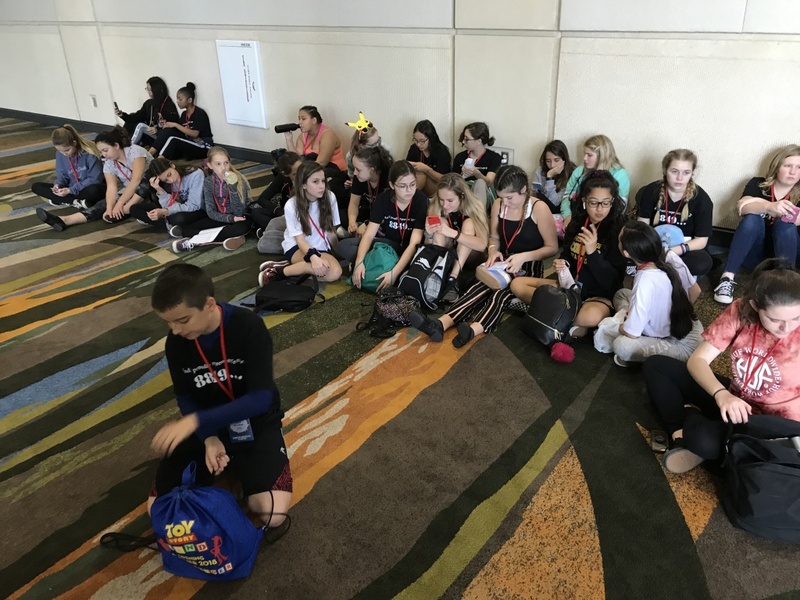 All thanks to a youthful, very ambitious, and very talented teacher who fulfilled her promise to bring a serious thespian troupe to Boca Middle and create unforgettable memories. We all love and thank you Ms. Nolan! Troupe #88943 is off to a tremendous start and is definitely here to stay!